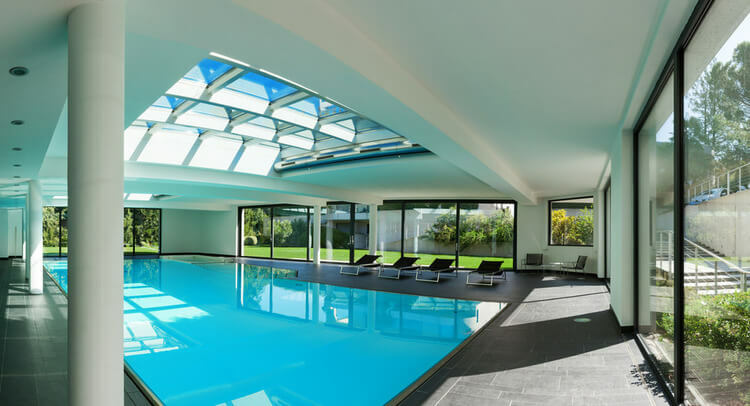 Indoor swimming pools are a popular option for several people, whether your home is in a cold climate or you need an indoor lap pool at your local fitness center. There are a bunch of differences when it comes to building and maintaining an indoor swimming pool versus one outdoors. 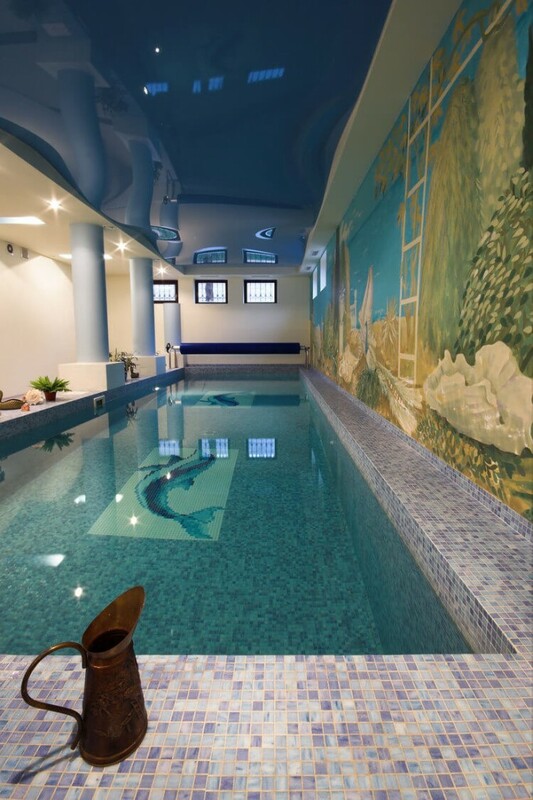 We’ll walk you through each one and even give you some design inspiration for your potential indoor pool. The obvious advantage versus disadvantage for an indoor swimming pool is convenience versus cost. 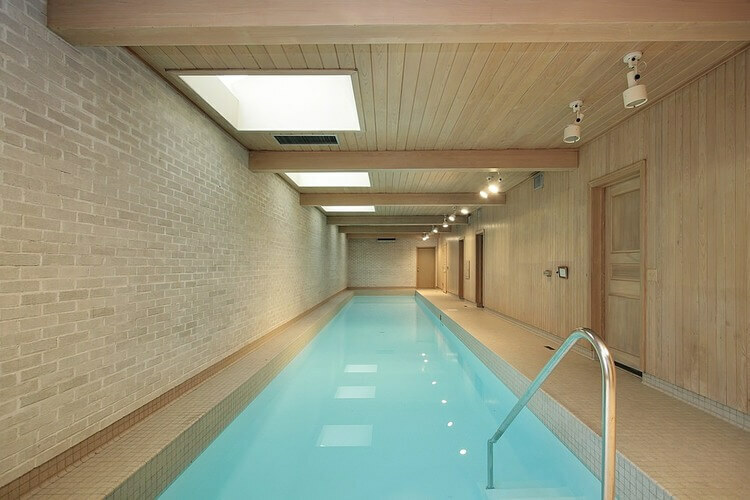 Bringing the pool indoors means being able to swim any time you want to, no matter what the weather is like outside. However, it increases the cost of the project considerably, as well as the cost of maintaining the area. One of the disadvantages that most people do not think about is that you need to size the dehumidifier to the temperatures that you plan to use, ahead of time. Plans typically call for there to be a two-degree temperature difference between the water and the air temperature. The standard is 82 degrees for the water and 84 degrees for the air temperature. However, this is highly unrealistic for most people. The good news is that you can choose any temperature differential that you want, but you have to choose it ahead of time so that you install a properly-sized dehumidifier. The cost of any pool is extremely variable depending on the size of the pool, the materials that are used, and the cost of building in your area. However, assuming that the average outdoor swimming pool costs about $40,000, it is safe to say that you will need to expect to pay at least five times that for an indoor pool ($200,000 or more). There are many things that go into the cost of an indoor pool. The same materials are required to build the pool, and then an entire enclosure (or room) must be built around it. In addition to the structure, which must be not only large enough for the pool and deck but also for the equipment associated with the pool, you will need a serious dehumidifier. The walls must be built with moisture barriers and water-resistant wood or drywall. It is possible to build a pool and choose to enclose it later. However, you will need to know at the time that the pool is built that there is a distinct possibility you will do this in the future. Otherwise, it will probably be just as expensive to enclose your existing pool as it would be to build a new one. If you plan to enclose your pool in the future but wish to spread out the cost, ensure that you design it with this process in mind. Use the assistance of both a pool builder and an architect, in order to make sure that the process can go ahead smoothly in the future. The proper base for the enclosure will need to be laid around the pool, and the type and angle of the deck will need to be considered. The location of the pool equipment relative to the pool is also important in this scenario, as well as laying plumbing and electrical connections. You will need a filter and heater for your indoor pool, as well as chemicals and a test kit to maintain water quality. While your filter will not have to deal with leaves and other larger debris, it will still need to handle dust, dirt, human skin cells and oils, and other microscopic debris. Algae do not grow as well inside, but it may still be a concern, especially if your pool has skylights or windows on the ceiling. If you do have this kind of sun exposure in the room, you may need a chiller for the pool and/or an air conditioner for the room in order to keep things from reaching sauna temperatures in the summer. 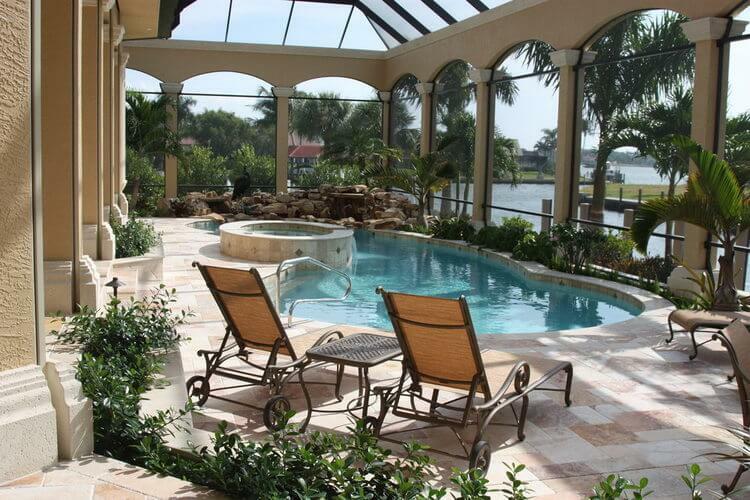 Any type of pool that you can build outdoors can be built indoors. Your choice of concrete, fiberglass, or vinyl liner should be determined by the pros and cons of these materials, rather than by the location of the pool. Credit to homestratosphere.com for photos. 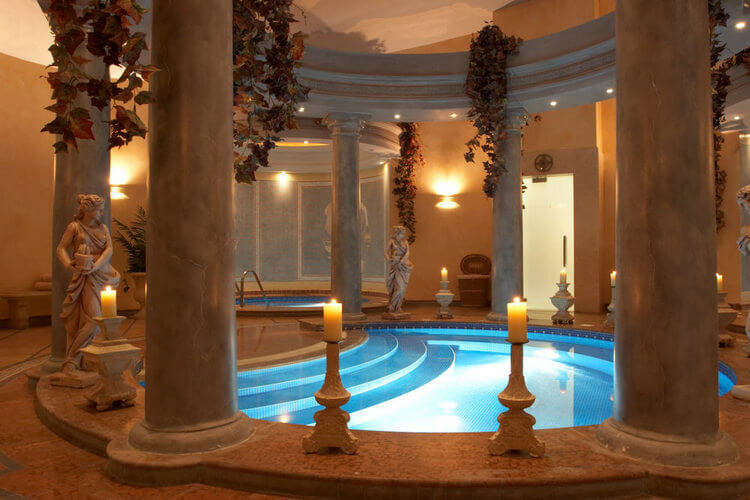 The biggest difference is that an indoor pool does not need to be vacuumed or skimmed for leaves and large debris. You may or may not need to brush down the sides of the pool to deal with algae, and other maintenance tasks are quite similar. You will still need to test the water regularly and maintain appropriate chemical levels, for example. However, without the sun to inactivate the chlorine in the water, you may not need to add more as often. Your filter and heater will need regular maintenance, just as if they were outdoors. Because the water will stay cleaner, they may not need to be maintained as often. However, they may need to be maintained more times per year because of the extended swimming ‘season’ when you have an indoor pool.